Bunny Ears - Make headbands to wear as you sing the song. First cut a strip of paper to fit around each child’s head. (Sentence strips work well for this.) 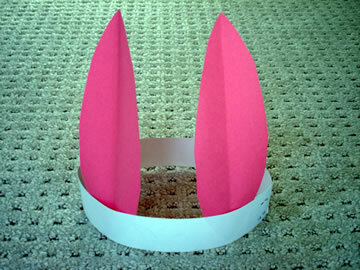 Next, let children trace, color, and cut rabbit ears similar to the ones shown. Staple to the headbands and hop, hop, hop! 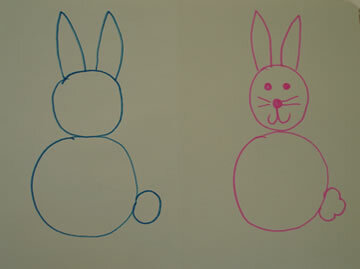 Drawing Rabbits - Teach children how to draw a bunny from two circles. Add detail to the bunny as you sing the song. Hint! You can also make rabbits out of play dough. What a surprise spring left for me. Popcorn popping in my cherry tree. Popcorn Tree - Trace around the child’s hand and arm on a sheet of paper to resemble a tree trunk. Color or paint the tree. Glue popcorn or cotton balls on the branches to look like blossoms. Hint! If you shake popcorn in a sack with a little dry tempera it will look like pink blossoms. Flower Bookmark - Grow into a book with this idea! Each child will need to collect small flowers, petals, and leaves outside. (Remind them to only take things off the ground and never pull live flowers from a plant!) Give each child 2 pieces of self laminating paper cut in 8” x 2” strips. Children take the back off one sheet and place it sticky side up on the table. After they arrange their natural objects, they place the second sheet on top and seal. Hint! 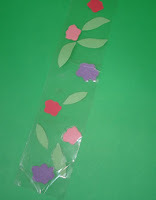 You can also use wide packaging tape to make these book marks. What better way to nurture the above goal than with this nature book! Children will have fun making it, drawing in it, labeling pictures, writing in it, reading it, and then taking it home to share with their families. First, you will have to go on a stick hunt. Each child will need a stick approximately 7” long. (If you ask them to find a stick that’s as long as their elbow to their wrist that should work.) Next, fold three sheets of paper in half. Punch 2” from each end as shown. 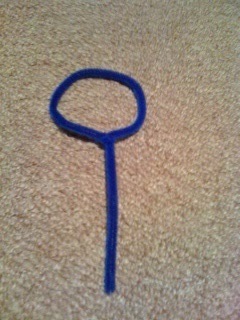 Push one end of a rubber band through the top hole and insert one end of the stick through the loop. Insert the other end of the rubber band through the bottom hole and slide it in the stick. *You can use the book to follow up a nature walk, to record plant growth, as a journal for science experiments, for nature vocabulary words, for taking notes as a non-fiction book is read, or for creative writing. Save your fast food and shopping bags and turn them into a learning center. *Younger children can take magnetic letters and match them up to letters on the bag. *Children can use magnetic letters to write words on the bag. *Children can write words they find on the bag and use them in a story. *How many words can the children make using the logo on the bag? *Hole punch bags and put them together with a book ring to make a book. There’s something on my mind that’s been troubling me. Sometimes we take a book and chew it up, hack it, and TEACH it to death. Children can’t enjoy the story for all of the questions about beginning, middle, and end. Not to mention how that book is like one we read last week….And all the direct vocabulary instruction…Oh, and punctuation…Don’t forget the main idea, yada yada! Wouldn’t you hate to answer questions about every book you read or every movie you watched? Don’t take me wrong. I agree that literature is one of the most effective and powerful ways to develop reading skills. However, I think we need to balance it with pleasure. Squeeze in at least one story a day that you and your students can ENJOY together. Read it, savor it, feel it, and then let it be! This song is similar to the one I shared yesterday, but it introduces sign language. I’ve got the whole alphabet in my hand. I’ve got all the letters in my hand and I’m ready to sign. Sure, there are economic troubles in California, but the teachers there proved that they are going to keep on dancing, and singing, and making this a better world for children! Last week I was invited to present at the Rainbows Conference in Ontario, CA. WOW! It was like going to a rock concert with Greg and Steve. I’ve been following that dynamic duo for 30 years, and they are just as enthusiastic, entertaining, and fun loving as ever!!! Tinkle, tinkle in the potty. Let’s go in the potty now. No pull ups or diapers any more. When you go potty, pull your undies to the floor. I’m not a baby any more! On Monday I shared with some more fantastic teachers on Oxnard. Jennifer Klein gave us a great idea for helping children speak in a complete sentence. She wrote a capital “I” on an index card and taped it to a cylinder block to make an “I Phone.” The children pass this around and say sentences beginning with “I…” Only the person with the “I” phone can talk. Veronica Binkley told me about a game she plays called “Clean the Table.” You can adapt this game for any skill you want to repeat. Take paper plates and write letters, numerals, words, etc. on them. Spread these out on a table. One child at a time tries to “clean the table” by picking up plates and identifying the information. Give them 30 seconds and record their score. Keep practicing and watch their scores improve. 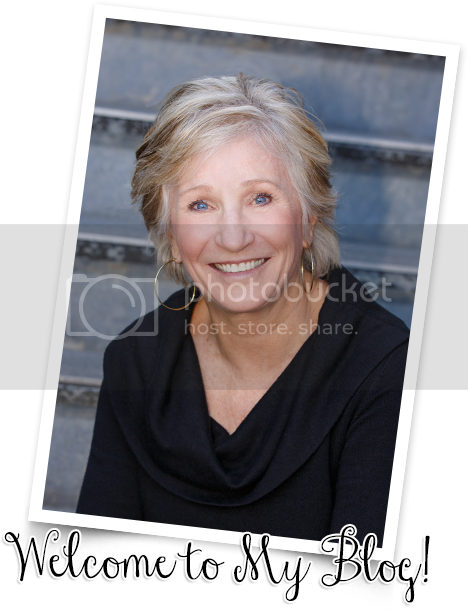 And, here’s one more idea from Kathy Wadley. It’s called “I Spy.” Kathy has the children close their eyes as she hides flash cards around the room. (Letters, math facts, words, etc.) The children hunt for the flash cards and bring them to her one at a time. They must identify the information on their cards before they continue on their hunt. Talk about easy and fun!!!! On the road again to Troy, New York, today! Who knows what treasures I’ll find there! That’s what keeps my job so exciting. I keep learning new things from YOU! Thanks! Make up a scavenger hunt similar to the one below. Divide children into small groups and let them hunt for the objects on the playground. Give them paper and pencils to record their findings. Hint! For younger children do this as a large group activity. Can you find a sign of spring? Can you find something older than you? Can you find something younger than you? Can you find something rough? Can you find something that feels soft? Can you find something living? Can you find something dead? Can you find something smaller than your fingernail? Can you find something bigger than you? Can you find something green? Can you find something yellow? Can you find something that smells good? Can you find some trash? Pick it up and throw it away! 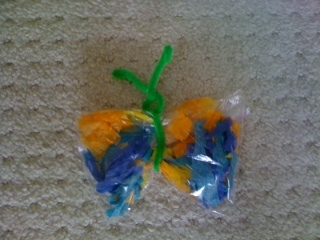 Make a butterfly by tearing up little pieces of colored tissue paper and putting them in a zip lunch bag. Gather up in the middle and twist on a pipe cleaner to make the body and antennae. Attach a string for flying. Cut butterfly shapes out of newsprint. Fold in half. Children drop paint with a spoon or eye dropper on one half. Fold and rub. Open to view a beautiful butterfly. Make a butterfly snack from celery, cream cheese, and pretzel twists. Children spread cream cheese in the celery and then insert pretzels for the wings. You can make a caterpillar snack by inserting berries and grapes on a toothpick. Tell the lifecycle of the butterfly with a stick, a bean, and pasta. First, take children on a nature walk and ask them to find a stick that is as long as their arm from their wrist to their elbow. Glue the bean to the left of the stick for the egg. Next comes a spiral pasta for the caterpillar. Then a shell pasta for the chrysalis. Finally, a bow shaped pasta for the butterfly. 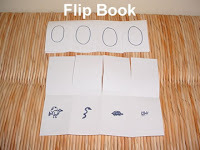 Make a flip book for the children to illustrate the life cycle of the butterfly. 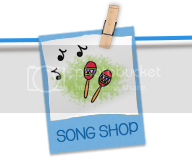 Activities: Let children dramatize this song. Curl up like an egg, wiggle like a caterpillar, twirl around to be a chrysalis and flap arms and fly like a butterfly. Make a butterfly puppet from an old sock. Glue pom poms to the toe of the sock for the eyes and mouth. Turn the sock inside out and glue a butterfly made out of felt. 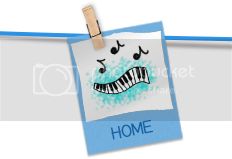 Begin the song with your hand in the sock. When the caterpillar spins a chrysalis pull the top of the sock down over the toe. Turn the sock inside out to reveal the butterfly at the end. This is a simple idea that can be used in many ways to reinforce one to one correspondence, sets, and addition. Directions: Glue a specific number of squares on each page as shown. Write the numeral at the top and the word at the bottom. with the squares on each page. Six could be 3+3, 2 +4, 5 + 1, etc. Vary this activity by using seasonal objects, such as pumpkinseeds, holiday erasers, and other small toys. If you’ve ever been to my workshops, then you have seen me demonstrate the highway letters that you can download free from makinglearningfun.com. Did you know that you could also download numerals? You could put these in clear sheet protectors and let children roll play dough and put it on the numeral. They could also drive cars over the numerals or use dry erase markers to trace (and then erase) the numerals. If you punch holes at the top and tie on string you can let the children wear the number vests to demonstrate counting rhymes, numerical order, inequalities, number sentences, tens and ones, etc. 3 + 2, etc. Children could wear the number vests and then hunt around the room for the number that would make them a friend of a number the teacher called out. *Hint! Ask a parent volunteer to copy the highway letters, numbers, and shapes and you’ll save yourself an ink cartridge. Happy St. Patrick's Day! I hope you're wearing green so you don't get pinched today! Make sure you have green stickers, shamrocks, or something green for your students to wear today. When K.J. was in preschool the children took off their shoes at naptime and put them in the hall. When they woke up there was a Rice Krispie treat in their shoes for snack. It's amazing how a memory like that can stick in a child's mind because three years later K.J. is still talking about it. While the children are at lunch today ask a friend to sneak in your classroom and overturn chairs, mess up bookshelves, sprinkle a little gold glitter on the floor, etc. When you return to the classroom act as surprised as the children. What happened? Who is responsible? Let them write stories or draw pictures to explain the mystery. Here's a book from an earlier blog this month in case you're new blog friend and missed it. *Download this book at drjean.org/March, 2007. Begin this story with a sheet of paper, scissors, and marker in your lap. Follow the directions as you tell the story. might have used to make their nest? Mother bird sat on the nest and laid a beautiful egg. kept her company. This is one little bug. His name was _____. Then she heard a great, big cracking sound. crack in her egg? She saw her baby bird! Hint! You can also cut this story out of a paper plate. DON’T WAKE UP THE BIRDIES! 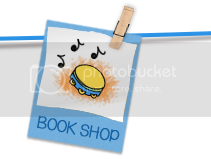 Sing and Act - Let children dramatize this song. Choose one child to be the mother or father bird. Let the other children be the baby birds. Lunch Sack Nest – Open a paper lunch sack and roll out and down until you reach the bottom and it looks like a nest. Children can roll play dough eggs for the nest, or they can make a paper bird for the nest. 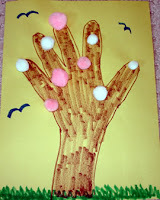 *Make the shape of a tree on a bulletin board. Staple the nests in the tree and then let children make birds out of construction paper to go in the nests. Tomeiko Wright from Lancaster, SC, turned her nest into a flower!!! 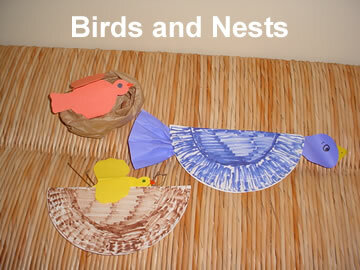 Paper Plate Birds and Nests - Let children make birds or nests out of paper plates similar to the ones in the picture. 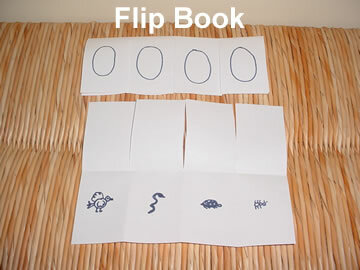 Flip Book – Make a flip book of “What’s in the Egg?” Fold a sheet of paper in half lengthwise, then fourths and eighths. Open and cut the crease to the middle fold. Fold in half to make 4 little flaps. Children draw 4 eggs on the front of each flap. Open the flaps and challenge children to draw 4 different things that might come from an egg. When they hold this book up to the light, they will see their little critters inside the egg. I have been waiting two years to paint Kalina’s toes and I finally got to do it last week when she visited. She loved her toes so much that we couldn’t get her to put on her shoes! All children love their little piggies, so here is an extension of the traditional rhyme where you can reinforce ordinals at the same time. The first little pig went to the market. The second little pig stayed home. The third little pig had roast beef. The fourth little pig had none. The fifth little pig cried, “Wee wee wee” all the way home. The sixth little pig ate some pizza. The seventh little pig ate a pear. The eighth little pig had spaghetti. The ninth little pig’s plate was bare. Glue pig faces to jumbo craft sticks. Write the ordinals at the bottom and use as you say the rhyme. Give each child an 8” x 8” square of paper. Let them take off their shoes and socks and trace around their feet. Next, let them decorate their footprints with markers or crayons. Tape their pictures together to make an accordion book. Write the numerals 10, 20, 30, 40….on the pages. Here are some tunes that you can use to sing high frequency words. It might be fun to make a list of all the two letter words and sing them on Monday. On Tuesday make a list of the three letter words and sing them…etc. It’s easy as can be when you sing and spell with me. What spells the? What spells the? T – h – a – t spells that. T – h – a – t spells that. There is a word that you should know and green is the word-o. G – r – e – e – n. G – r – e – e – n. G – r – e – e – n.
And green is the word-o. The tune of “Ten Little Indians” can be used to spell six letter words. *The theme song from “The Mickey Mouse Club” can also be used for six letter words. That strikes me as sad somehow. Less is more. I had one baby doll (Tiny Tears) and I adored her! My own children always named their stuffed animals and dolls when they were little. That’s such an easy thing to encourage your children to do if they bring a toy to school or talk about a doll. It somehow brings a toy to life and makes the connection more personal. Another simple thing you can do is ask your students to name their artwork. All famous artists give a title to their paintings and sculptures, and your children will enjoy doing it as well. I could even connect art to the Common Core State Standards if I did that! I’m always looking for creative bridges to the Standards. You just have to think outside the box a little for possibilities. What do your students enjoy? Games, art, music, drama? How can you tap into what they enjoy and integrate some skills and standards? A spoonful of sugar always makes the medicine go down! How I got from naming baby dolls to putting sugar on skills I’ll never know! But there are a few gems in today’s blog if you look for them! I just might be about the luckiest person in the world to meet all you wonderful teachers!!! You filled my heart this week at the IL ASCD Conference and the VA ECE Conference. Thank you! Thank you! And thank you again! You’re why I do what I do! Well, now that I’m home for a few days I can finish sharing some clever ideas from my visit to MO last week! Twist a pipe cleaner to look like a magnifying glass. Use it as a “letter looker” or “word looker” to frame letters or words on charts, big books, and classroom print. *Use overhead color tiles to cover high frequency words. It’s a “magic reader”! When children work on their little take home reading books they have to be “punctuation detectives” and highlight punctuation marks. Period – circle red – red means STOP reading. Comma – circle green – green means take a breath and keep on reading. 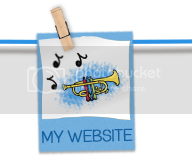 Exclamation point – circle orange – orange means be excited!!! Question mark – circle purple – purple means be curious. Capital letters – underline blue – blue means the letter is a capital because it’s the beginning of a sentence or has an important name. Dolch words – yellow – highlight yellow because it is a popcorn word. Yeah! You know this word already! Use this idea to line up and learn. Turn the lights off and then pass a flashlight to one child. That child shines the flashlight on a word and reads it. She then passes the flashlight to another friend. Children continue reading a word and passing the flashlight to a friend until all have read a word and lined up. For classroom talkers, cut small strips of paper and put them inside an envelope labeled “Talking Strips.” When children feel the urge to talk out loud they can write a sentence or draw a picture of what they want to share. You can share these together at the end of the day. 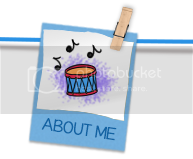 Take two file folders and glue a picture of a microwave on one and a crock pot on the other. Write children’s names on craft sticks. If they feel confident about a strategy they can put their stick in the microwave. If they are not sure, their stick goes in the folder with the crock pot. *Instead of a high five, give a wi-five across the room. Cut noodles into 1” sections with a steak knife. Write letters or numerals on the sections with a permanent marker. These can be strung on a rope or broom handle and used for patterning, alphabetical order, making words, numerical order, etc. As children share items ask them, “What sound do you hear when I say ____?” After they say the sound write the letter on the board. Continue writing letters as students sound out the word. This can be a little time consuming so maybe have 5-8 students do this each week. Instead of having children give you a high five, ask them to “give me a toe” as you touch feet. Cut hands out of foam and write “left” and “right” on them before taping them above the calendar and flag. Remind the children to look and see which hand they should place on their heart before they do the pledge. Get a dog bowl, small stuffed dog, magnetic tape, and magnetic letters. Attach the magnetic tape to the dog’s nose. Place the magnetic letters in the bowl and let the children use the dog to “eat” the letters. *You can also use this idea with magnetic numerals and shapes. Take the children’s picture the first day of school and make an alphabet facebook. Run off a copy for each child. 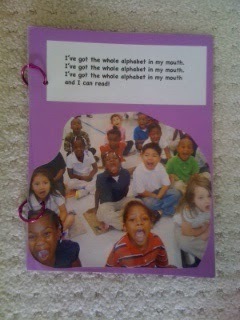 Use it throughout the year to sing ABC’s, learn alphabetical order, read each other’s names, etc. Put the letters of the alphabet on the wall using the different colors in the rainbow. A (red), B (orange), C (yellow), D (green), E (blue), F (indigo), G (violet)…. Point to the letters each day as you sing the ABC’s. Name a color and then look for the letters that color. Can they make the sound and then think of words that begin with that sound? 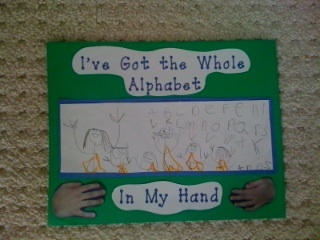 They can also look for letters with circles, little lines, big lines, etc. IT'S JUST A SILLY SONG!